What a splendid day I had yesterday at the Big Finish Day 3 event in Barking. I met lots of lovely people who said equally lovely things about stuff I’ve written. I spoke on a panel about Blake’s 7 audios along with star Michael Keating, producer David Richardson, director Ken Bentley, sound wizard Alistair Lock, writer Simon Guerrier, and the gestalt entity Cavan Scott/Mark Wright. I took part in a Writing Workshop, ably moderated by Matt Fitton. I listened in as Tony Whitmore and Laura Cowen recorded for the Doctor Who Podcast. I also was pleased to chat with Kenny Smith, whose labour of love has just been published. It’s the Big Finish Companion Volume 2, and I commend it to you. It quotes hundreds of people, including almost every writer, several Doctors, many companions, and loads of musicians, directors, sound designers, and cover artists. Kenny was interviewed about it himself. Here’s the full interview that I did with Kenny last year. 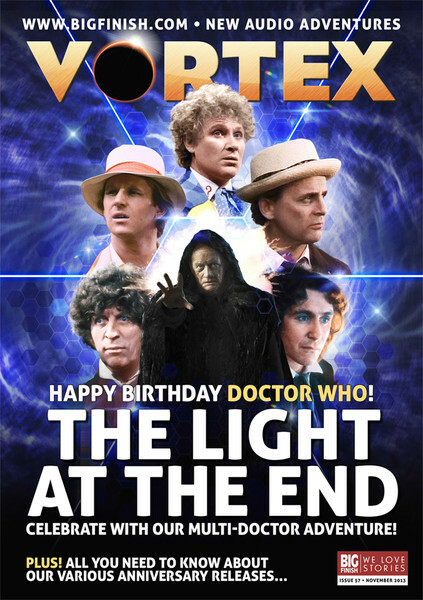 To see how he has skilfully woven this into the book, and enjoy loads more fantastic stuff, go to the Big Finish website and buy the book. Kenny Smith: How much did Ferril’s Folly change between your initial pitch for it, and the finished storyline? Peter Anghelides: Quite a bit, and hardly at all! There was a long delay between it being pitched and then the final version that was produced. It was only in the latter stages that it was actually under contract for a Companion Chronicles At one stage, I was one of the authors invited to pitch for the BBC Audio series that became “Hornet’s Nest”, which at the time had the rather splendid code name “Felt Hat”. So I worked up a version of “Ferril’s Folly” (possibly called “The Iron Lady” at that stage. 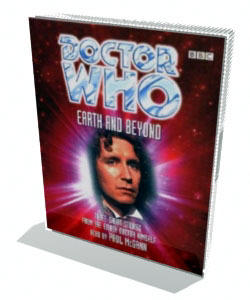 Commissioning Editor Michael Stevens eventually went with Paul Magrs for all of those audio readings, which also turned out to be a sort of halfway thing between Companion Chronicles and full-cast audios. And in any case, Michael also recognised the origins of “The Iron Lady” because he gets to see Big Finish’s prospective storylines in his role at BBC Audio (now AudioGO). That version would have had the Doctor as the principal narrator, rather than Romana. After that, Big Finish was making one of its occasional attempts to tempt Tom Baker to do their full-cast audios, and I re-jigged things as one of my suggestions for that. Alas, that came to nothing, either. Some years after I’d first got the thumbs up for the Companion Chronicles version, I asked Big Finish whether they still wanted it, because I had some time free up to write it. And they said “oh, yes please” in a way that suggested they’d never thought otherwise. So we finally signed contracts, and I delivered it as originally planned – and in very much the same form that I had originally proposed. Can you briefly explain why it was delayed after it was first announced? I had agreed with Big Finish that the outline was what they wanted. But before we signed contracts, they also asked me to write the finale for their Key 2 Time audio plays trilogy, a story that became “The Chaos Pool”. As that was a full-cast audio, not to mention too good an opportunity to miss, I agreed. I was also contracted to write a Torchwood novel with BBC Books, and there was a wodge of other non-Who stuff I was working on at the same time. I explained to Big Finish that I wouldn’t have time for everything, and did not want to commit that I would deliver scripts only to let them down. I asked them which they wanted more – the Companion Chronicles or “The Chaos Pool”. They chose the latter, so that’s what I was contracted for. There was also some consideration that a story based during the first Key to Time sequence was a bit too close to their Key 2 Time stories. So as well as deferring my audio, and because they had already lined up Mary Tamm to participate, they commissioned a replacement “first Romana” story from Nigel Fairs called “The Stealers from Saiph”, and set it after “the Armageddon Factor”. And as I mentioned earlier, other work and alternative versions of the story meant I didn’t get around to writing the script for several years. Was finding a Key to Time device hard to include, and to explain away its lack of being found in the story? I rather liked the idea of them not quite succeeding in a mid-season story, so I knew that I wanted them to find the segment and then have it slip from their grasp at the last minute. I then worked in a reason why they would have to let that happen – it’s a conscious decision, not a careless oversight. I also decided on a distinctively different item for the segment’s disguise. We already knew it could be as varied as jewellery or a planet or a religious totem, and influenced other items around it. Plus there’s a lovely bit of dialogue in Jonathan Clements’ Key 2 Time script “The Destroyer of Delights” that suggests segments could be a grain of sand, or a leopard’s tooth, or a blob of molten lava, or even an atom of snot. That speech inspired me to make my segment something in a distant part of the galaxy that had then “infected” the meteoroid that brought it to Earth. How did you find writing for the first Romana, having written for her second incarnation before? I love that original “Key to Time” season. Much as I also enjoy Lalla Ward’s performance, I always wanted more stories with Mary Tamm’s incarnation… and this was a great excuse to do one. With another Riomana also in “The Ancestor Cell”, I suppose I’ve written rather a lot for the character now. There’s probably a collective noun: “A snoot of Romanas”, perhaps. What did you think of the finished play, given its lengthy gestation period? It’s wonderful to hear the final version, because it’s the application of acting and directing and sound and music and editing talent to my original script. Plus, I got to attend the recording in the studio, and that’s always great fun. Any assorted bits of trivia, like origins of character names, etc? Ferrill is obviously derived from “ferrous”, because of her affinity for iron. I originally called the scientist Öpik after an Estonian astronomer called Ernst Öpik. I found out about him because his son Lembit was, until recently, a Member of Parliament who spoke up about the dangers of asteroids striking the Earth – which in a way sadly typical of modern politics earned him derision rather than a thought that he might have an informed view. The script uses the phonetic spelling “Erpik” because there’s no point making life unnecessarily difficult for the actors. I smuggled in other characters called “Clark”, “Stanford”, and “Andrews”, so that I had the excuse at one point to have a sentence that read: “The Doctor, Andrews, Stanford, Clark, and the others all raced out of the pub.” Because I knew that would make one of my colleagues who listens to the audios, an IBM Distinguished Engineer called Dr Andy Stanford-Clark, leap out of his chair in surprise when he heard it. There’s also a vintage car joke in the dialogue somewhere. It was the sort of thing I imagined Tom Baker would have introduced as an ad lib during Season 16 rehearsals. See if you can spot it. 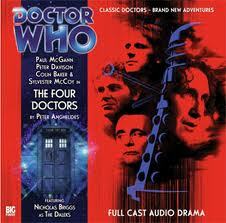 Any idea where in their timelines “The Four Doctors” story takes place for each of the Doctors, continuity-wise? I have no idea. Any suggestions? I certainly didn’t worry about it when I wrote the script, and it doesn’t affect the narrative. One imaginative reviewer suggested where they would each fit in, based on all sorts of things I didn’t even think – or wouldn’t even have known about, such as the costume worn by Sylvester McCoy on the front cover. The first draft featured a reference to Charley Pollard being elsewhere in the TARDIS while the Doctor is gallivanting about. I don’t know whether that counts. 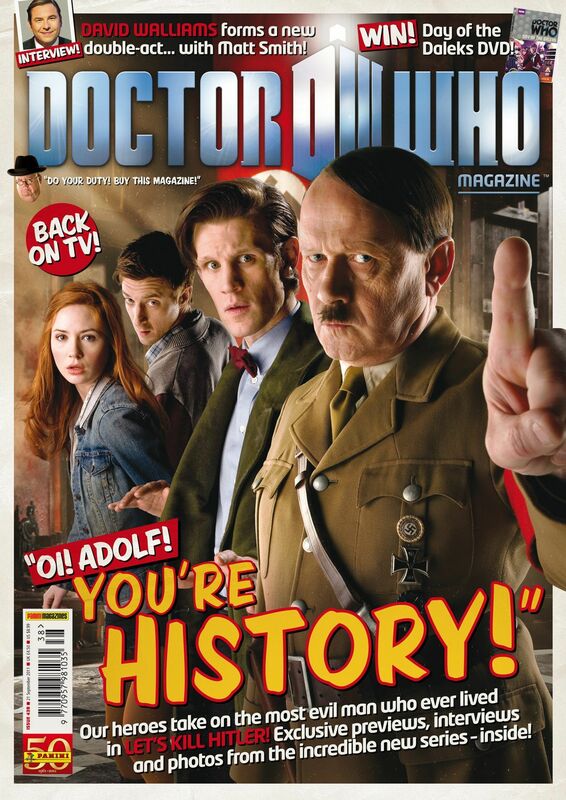 Dan Tostevin interviewed me for Doctor Who Magazine’s preview of my audio “Ferril’s Folly”. Now that’s been out for a while, here’s the original interview. Q: Why has there been such a long delay between Ferril’s Folly being announced and actually released? A: I forget when it was first mentioned in DWM, but I seem to recall that Big Finish originally approached me at end of 2007. They liked my proposal, which was set slap bang in the middle of the Key to Time season. Then they asked me to write the conclusion to their “Key 2 Time” trilogy [The Chaos Pool], plus I was already busy with my Torchwood novel “Pack Animals”. So I asked them which they wanted more, and they chose The Chaos Pool, and I ended up writing for the other Romana. I think doing a Key to Time story so close to their sequel trilogy would have been a bit too similar anyway, and as a result they commissioned Nigel Robinson to do Mary Tamm’s first Romana Companion Chronicle, and set it between Seasons 16 and 17. Q: Did the story change significantly in the years between the original commission and the final recording? I’m one of those writers who will cheerfully reuse or cannibalise stuff rather than waste it. I suggested the story as part of something else Big Finish were doing, and I also pitched it as an idea when I was one of the authors BBC Audio was considering for the Hornet’s Nest Tom Baker audios (then rather splendidly codenamed “Felt Hat”, I seem to recall). That was reworked to foreground the Doctor, of course. But BBC Audio went a different way on that, and the other thing with Big Finish didn’t happen. I asked them if they still wanted it as a Companion Chronicle, and they said “yes” in a tone that suggested they’d never doubted it. The only significant change over three years was that I removed a chase sequence where pylons stalked the Doctor across the landscape, because in the meantime Steve Cole had also thought of that and used it in his BBC Audio Ring of Steel. Q: Anything you’re willing to say about the character of Lady Ferril herself? I thought it would be good to have a strong female villain, like Vivien Fey from that era of the programme. And to more strongly differentiate her from Romana’s cut-glass English accent, I made her American. I’m not always convinced by some of the “American” accents we’ve heard on Doctor Who over the years, but Madeleine Potter is the genuine article in Ferril’s Folly. She’s brilliant. There’s a Big Finish announcement about my audio play Ferril’s Folly, the penultimate story in series 5 of their splendid Companion Chronicles series. You can read a short synopsis about the story, and hear a downloadable preview with snippets from both of the cast members. I was in the studio to hear this story being recorded last November, and did a few “wildtrack” sounds, so you can probably hear me screaming in the background. The story has been placed between The Stones of Blood and The Androids of Tara. So how will this fit in with the Doctor and Romana’s search for the Key to Time? Only a few more months before you can buy it and find out — the audio is released on May 31st.